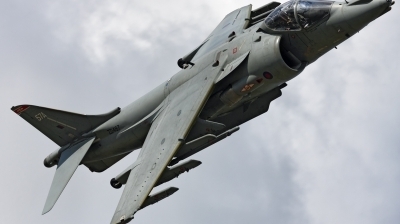 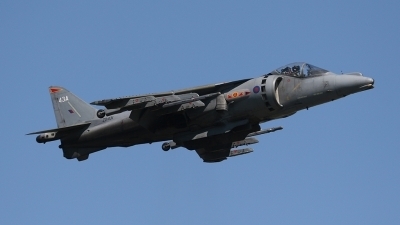 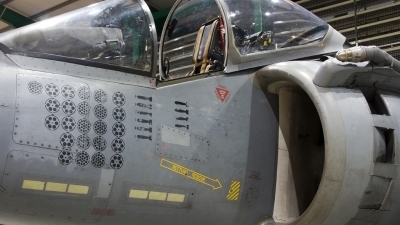 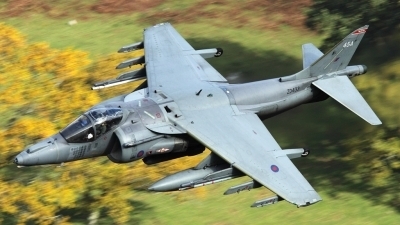 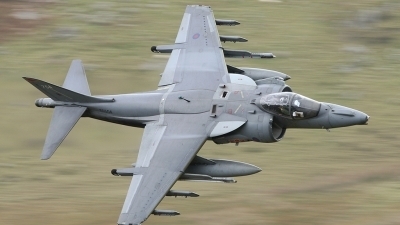 Nicknamed 'Dirty Harry' because of it's war weary condition this Harrier displays mission markings from Afghanistan. 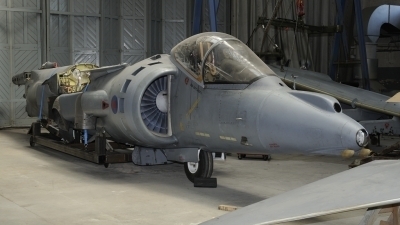 It is now part of the Fleet Air Arm Museum's Reserve Collection held at Cobham Hall. 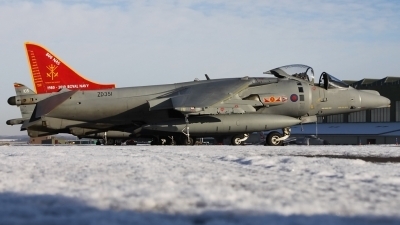 800 NAS Anniversary jet at RAF Cottesmore, seen in the final few days of the Harrier in service with the RAF/RN(JFH) on a snowy ramp at a snowclo RAF Cottesmore, it was a privilege to be able to get on the ramp with these superb aircraft one last time. 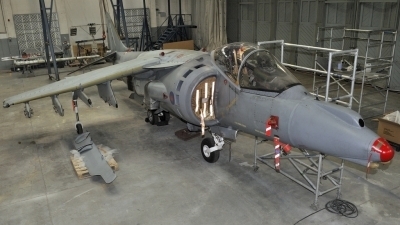 Afghanistan veteran Harrier GR9A ZD461 seen here dismantled in Hangar 5. 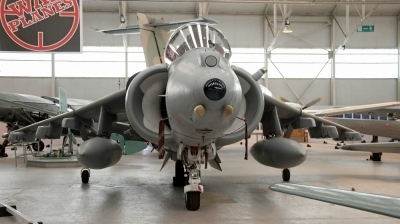 All unit markings including the impressive Operation Herrick mission tally on the port side of the nose have been removed. 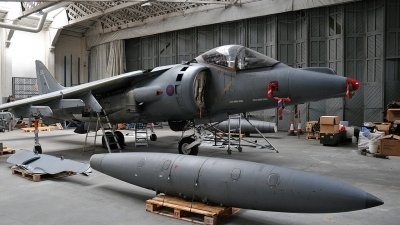 Imperial War Museum in Duxford. 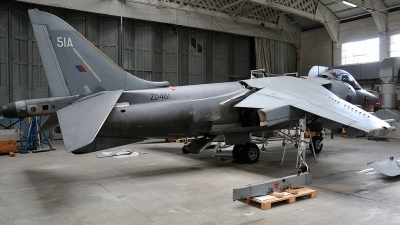 ZD461 came to Duxford on the 14th March, 2012, to be prepared for display in the new atrium of the IWM South Lambeth, London. 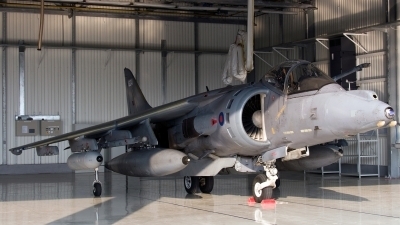 The GR.9A had been in storage at RAF Cottesmore since March 2010 and is seen here in Hangar 5. 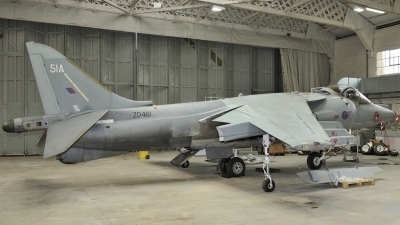 ZD461 in Hangar 5 at Duxford. 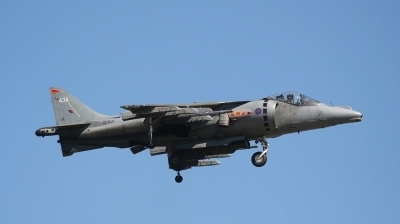 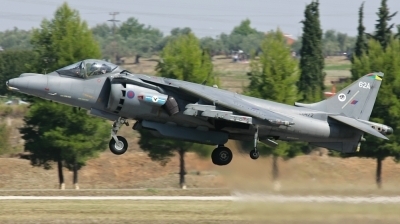 The Harrier suffered CAT.3 fire damage on the 26th of January, 2010, after a brake failure during landing at Nellis AFB. 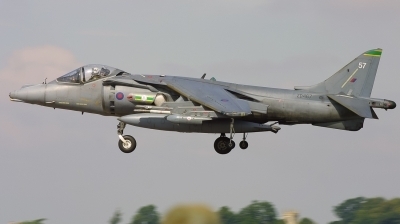 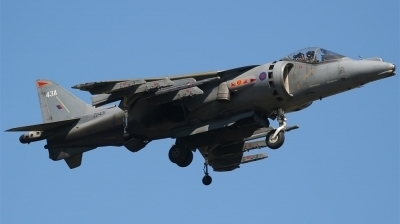 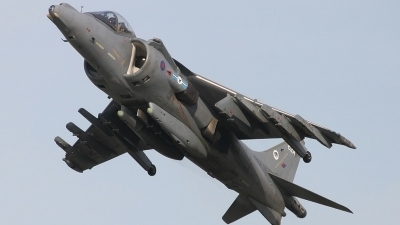 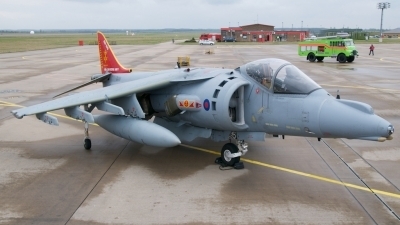 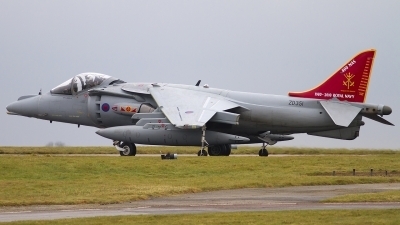 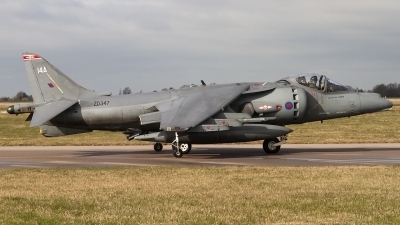 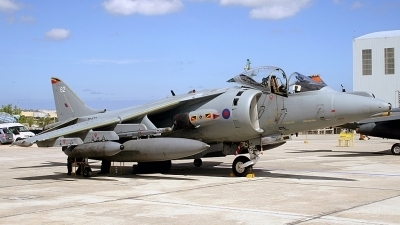 ZD461 was stored at RAF Cottesmore after the Harrier fleet stand-down in December 2010. 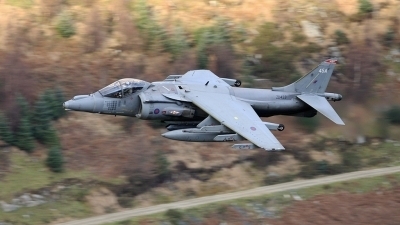 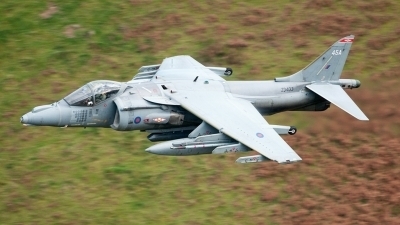 Only a few weeks before their retirement from the RAF, this 1(F) Sqn Harrier speeds through LFA7.